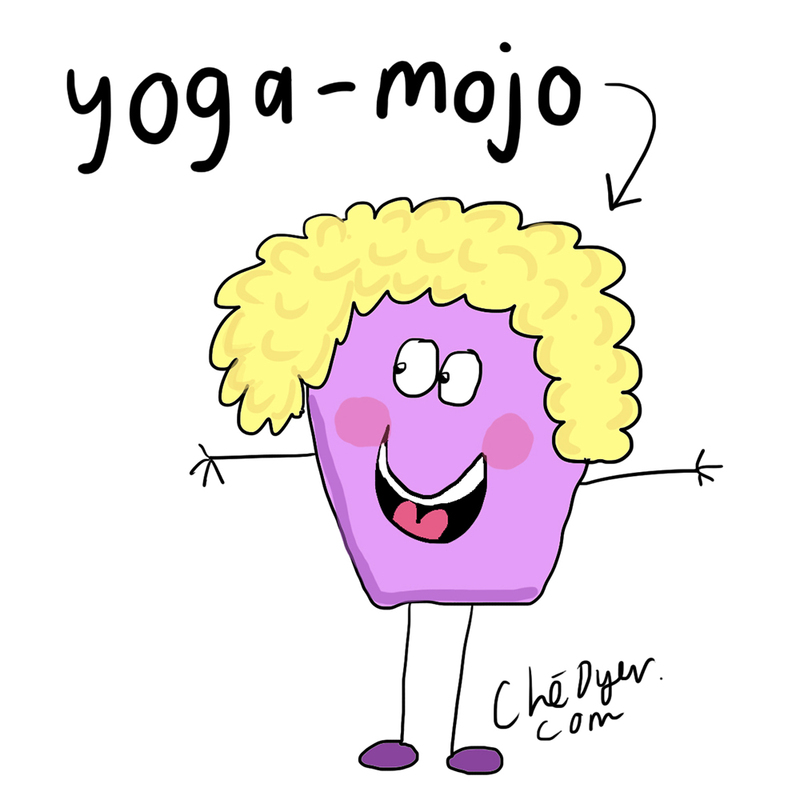 What's 'yoga mojo,' you ask? It's that little magical force that keeps us rolling out our mat every day. This little Yoga Mojo is most likely sitting on our shoulders cheering us on! Having this little mojo of motivation makes getting on our mat as easy as cake. Sometimes however, for no reason at all, this little mojo can suddenly disappear. And when the Yoga Mojo is nowhere in sight, rolling out your mat can feel like the biggest effort. You lose all motivation to keep practicing and most likely you're soon to fall off the bandwagon into a state of Netflix and couch-potato-ing. 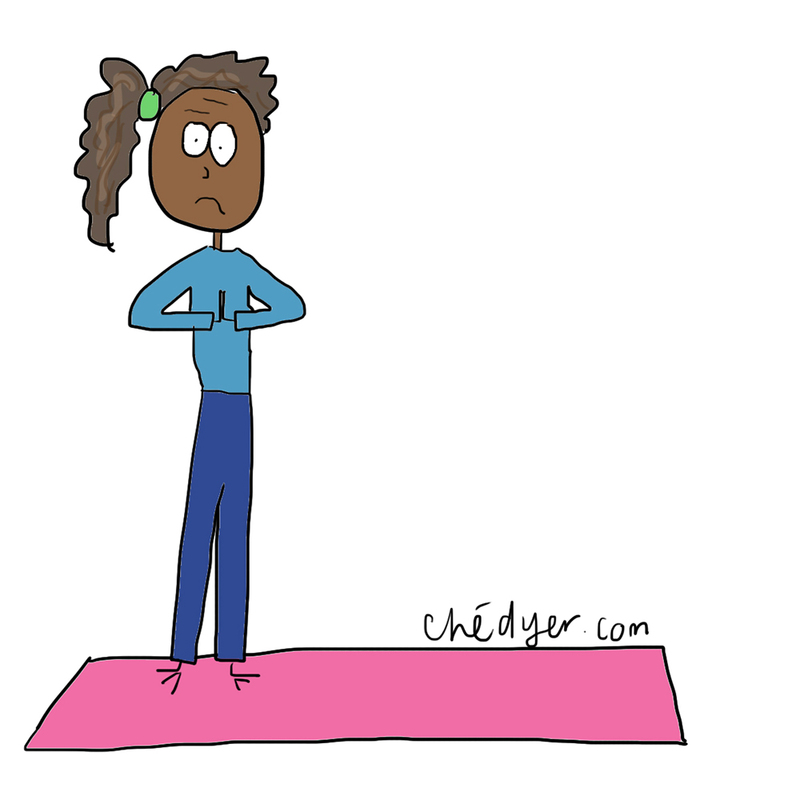 So what can you do when you realise that your Yoga Mojo has disappeared? And how can we get it back? 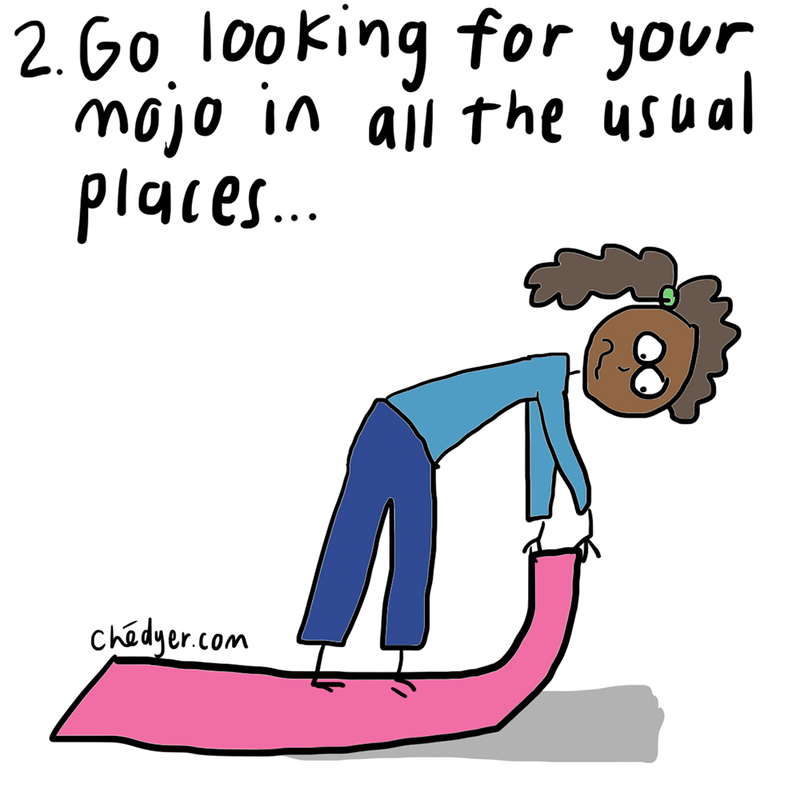 Here are 6 simple steps to finding your mojo! 1. 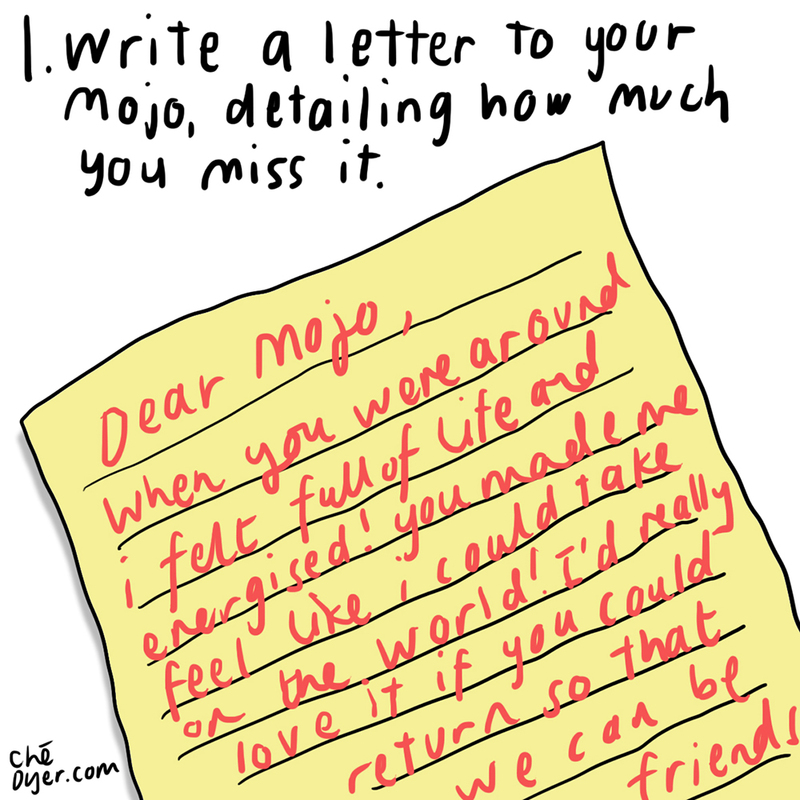 Write a letter to your Mojo. Literally sit down and write a letter to your mojo. This could be an actual letter or it could be a journal entry! Write down exactly how it feels to have this mojo by your side. Simply reminding yourself of how it feels to be full of energy and motivation may be enough to invite your mojo back! 2. Go looking for your Mojo in all the usual places. If your Mojo has suddenly disappeared, you can be guaranteed that it hasn't gotten far. 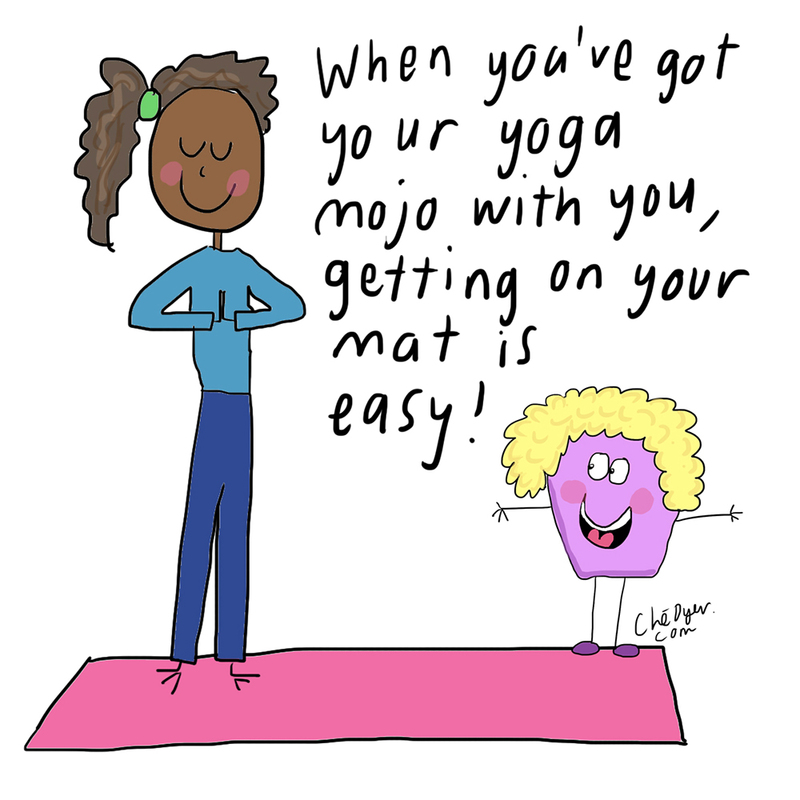 Go looking for your Mojo in all the usual places it likes to hang out; the yoga studio, your yoga mat, the gym, the park - look in all the places that you usually hang out with your Mojo! Granted, you may get to these places and realise that the Mojo is not there at all - but always dress the part and be prepared to find it in any case. 3. 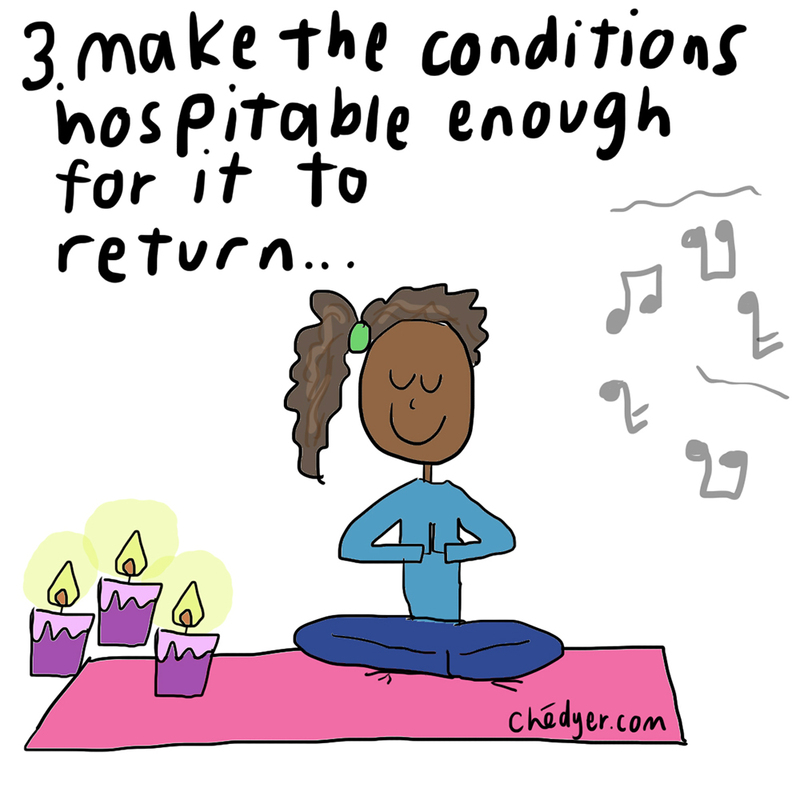 Make the conditions hospitable for the Mojo to return. Do what you can to make it super enticing for your Mojo to return. Light candles near your yoga mat, create lovely playlists, burn some incense. See if you can coax your Mojo back through a series of wonderful offerings that are too good to hide from! 4. FAKE IT, until the Mojo returns. 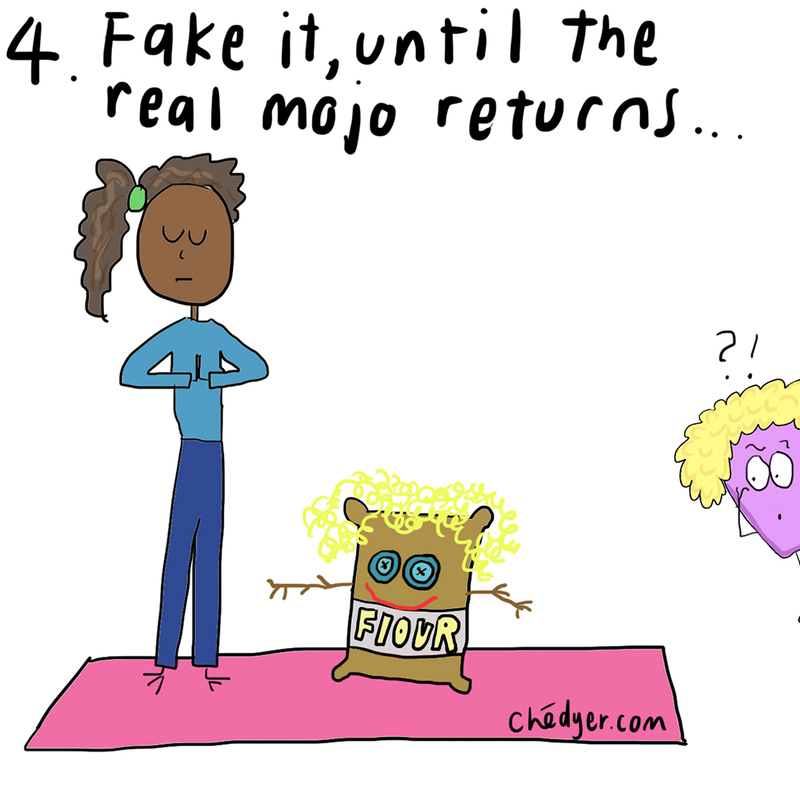 There is NOTHING quite like faking your Mojo to bring the real Mojo bouncing back. Get on your mat and TELL yourself that you have all the Mojo in the world. ACT like you have all the Mojo in the world. And in no time at all the real Mojo will be so baffled by all the fakery, that it will return right back where it belongs! 5. 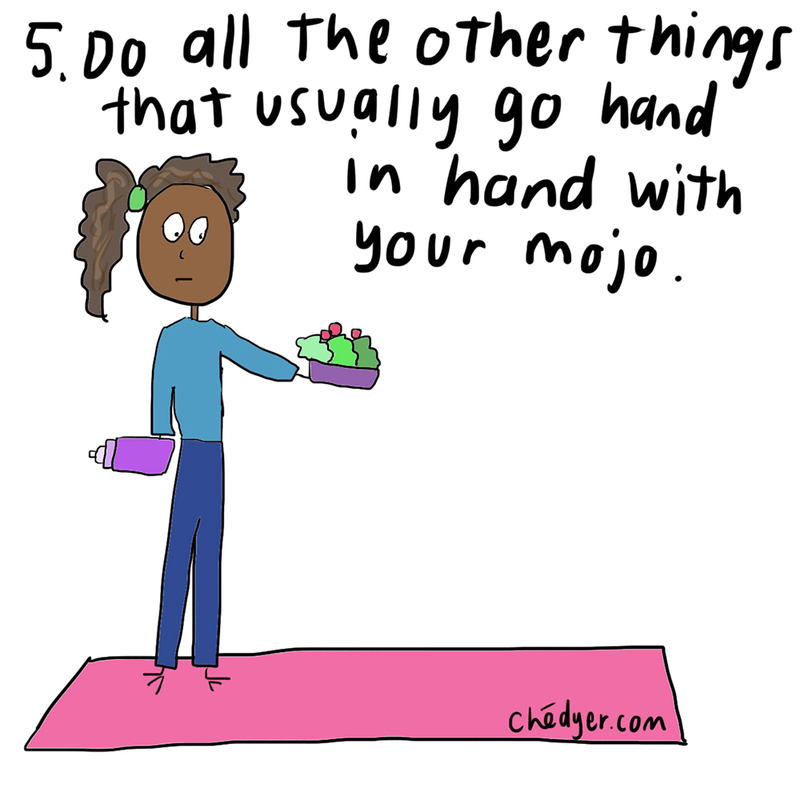 Do all the other things that usually go hand in hand with your Mojo. Your Yoga Mojo usually hangs out with a few friends - healthy eating, enough sleep and plenty of hydration. So make sure that you do all the other things that your Mojo loves! 6. 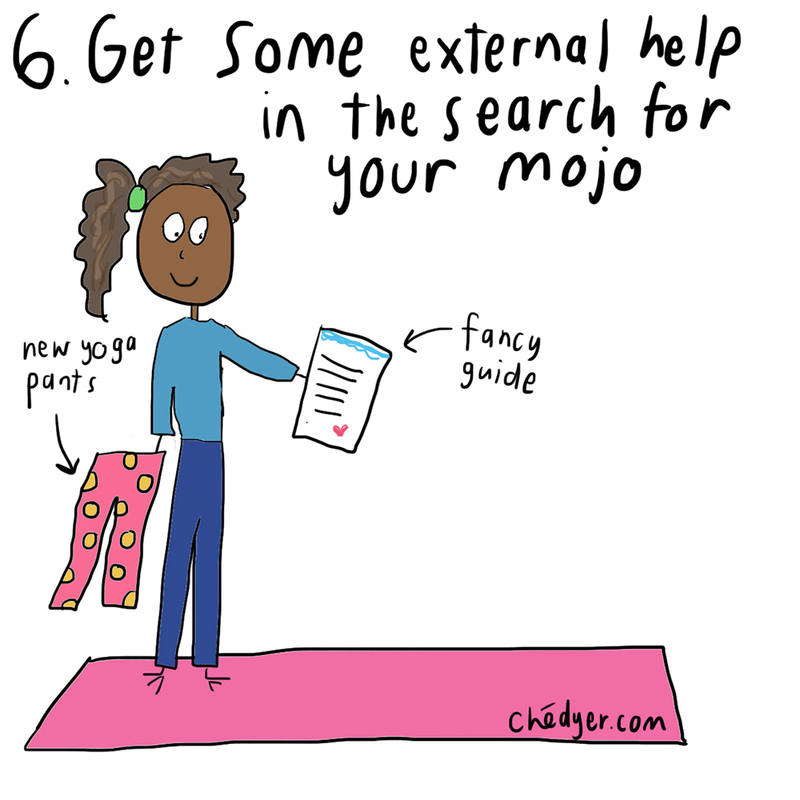 Get some external help in the search for your Mojo. This could be getting a yoga teacher to help you search for it. Or visiting a new Yoga Studio. It could be finding a yoga guide to follow or a new set of poses to try! It could even be disguising yourself in your search by buying some new yoga gear! If you've lost your Yoga Mojo, fear not — it happens to everyone from time to time. It's likely that it's just hanging around the corner, waiting to be invited back home!